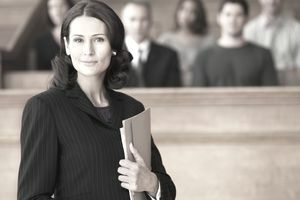 Bar associations in larger cities often have pro bono attorney projects the provide low cost or no cost services to people who qualify according to income, employment, or medical status. Each program has its own criteria and availability of bar members willing to provide pro bono services. Here’s an example of a volunteer attorney program in Dallas, Texas. Here’s one in Duluth, Minnesota. One of the best online resources is the Find an Attorney feature on the website of the National Association of Consumer Bankruptcy Attorneys (NACBA). NACBA is the premier national trade association for lawyers who represent individuals in filing Chapter 7 and Chapter 13 cases. If you choose a NACBA member, you’re more likely to be working with someone who values the benefits of networking, keeping abreast of the latest changes in the law and important case decisions, and is active in the legal community. Another possibility is the National Association of Consumer Advocates, another trade association made up mainly of lawyers who practice consumer law. Many consumer lawyers also practice bankruptcy law.